Raleigh St. Augustine grass was released by North Carolina State University in 1980. Raleigh is more shade tolerant and cold tolerant than Floratam St. Augustine grass. It is also SAD virus resistant. It does very well on clay soils. Keeping the grass healthy (watered, fertilized, etc.) will help choke out the weeds. St. Augustine grasses in general can get over taken by drought tolerant weeds (crab grass, bluestem grass, broad leaf weeds, ...) when allowed to get stressed. It might be a good idea to dethatch once per year as needed. 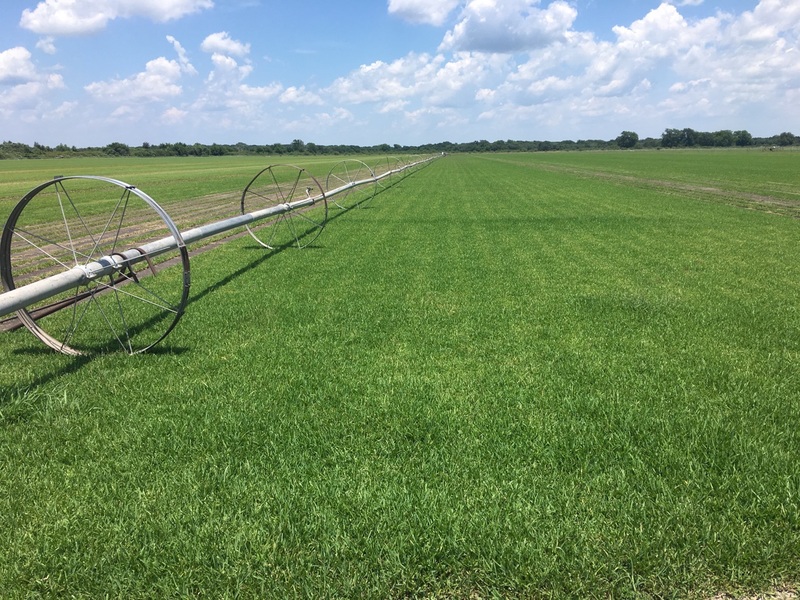 Depending on soil type and climate, it is a good idea to water your grass more less often to promote deep root system (make your grass more water efficient).